Preview: Beaten and bruised in their last home game, Mumbai City FC will look to defeat Bengaluru FC when the two sides clash in an Indian Super League (ISL) encounter. A win on their home turf will ease pressure on Mumbai, currently placed on the fifth spot with as many as four wins in 10 games. Also, the home side will be keen to seek revenge as they had faced a 2-0 drubbing from Bengaluru in Bengaluru on 19 November. 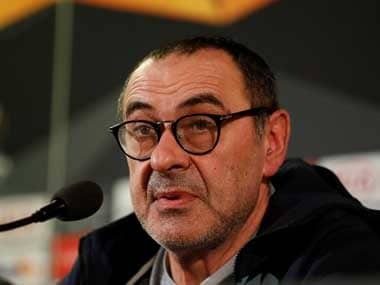 But the home team will face a tough challenge from the Bengaluru boys who have an inspirational player in Sunil Chhetri, known to turn things around, and they, too, would be keen to taste victory at the Mumbai Football Arena in suburban Andheri. Bengaluru are presently placed on the second spot with six wins from 10 matches, while the season has been a mixed bag for Mumbai. But the visitors had lost to Delhi Dynamos 2-0 in their last game and would look to come back to winning ways from this game. Likewise, in the last home game, Mumbai were drubbed by the Kerala Blasters 1-0 on Sunday. 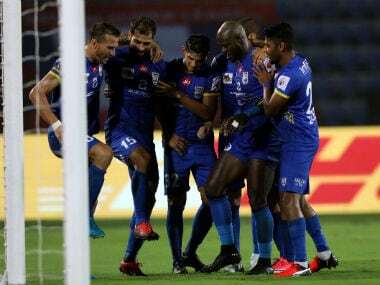 But Mumbai's defence is solid with a back-line comprising defenders Gerson Vieira and Lucian Goian, backed up by an alert custodian in Amrinder Singh, who on numerous occasions, has saved goals for his team. They also have another goal-keeper in Kunal Sawant, who can chip in if required. And their defence will have to put their act together if they want to stop the opposition strikers. For the home side, striker Balwant Singh, Brazilian Everton Santos, highly-impressive attacking mid-fielders Brazilian Thiago Santos and Cameroonian Achille Emana can breach any good defence and Bengaluru's one would be no exception. In the last games, Mumbai missed many opportunities to score and they would have to pull up their socks at their citadel to clinch a win. For Benguluru, apart from Chhetri, the other strikers are Udanta Kumam, Braulio Nobrega, who also need to fire up to score. 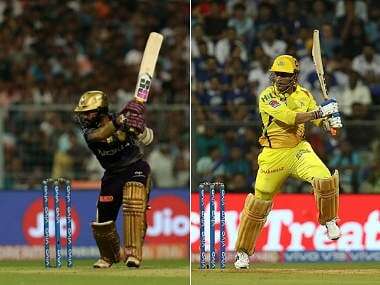 Their mid-fielders like Edu Garcia, Antonio Dovale and Erik Paartalu will need to play their roles to perfection and so as the defenders such as Rahul Bheke, Collin Abranches, Juanan. But with a fine attacking line-up and equally impressive defensive skills, the Alexandre Guimaraes-managed Mumbai look hard to beat at home and Bengaluru will need to bring on all their energy to vanquish them in their den. The match starts at 8 PM.